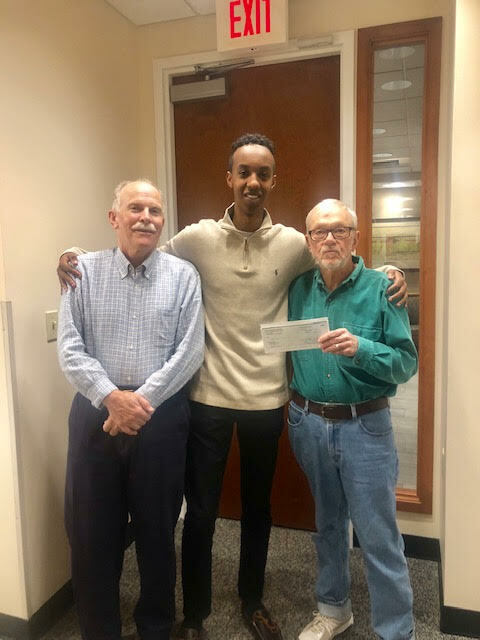 Auburn Housing Authority’s Board of Commissioners recently awarded a scholarship to Abdirasaq Yonis, who is attending Central Maine Community College. He is taking coursework in preparation for a career as a pharmacist. Pictured from left are Rick Whiting, AHA executive director, Yonis and Art Wing, board chair.